This solid oak nest of tables from Acorn are stylish and practical. 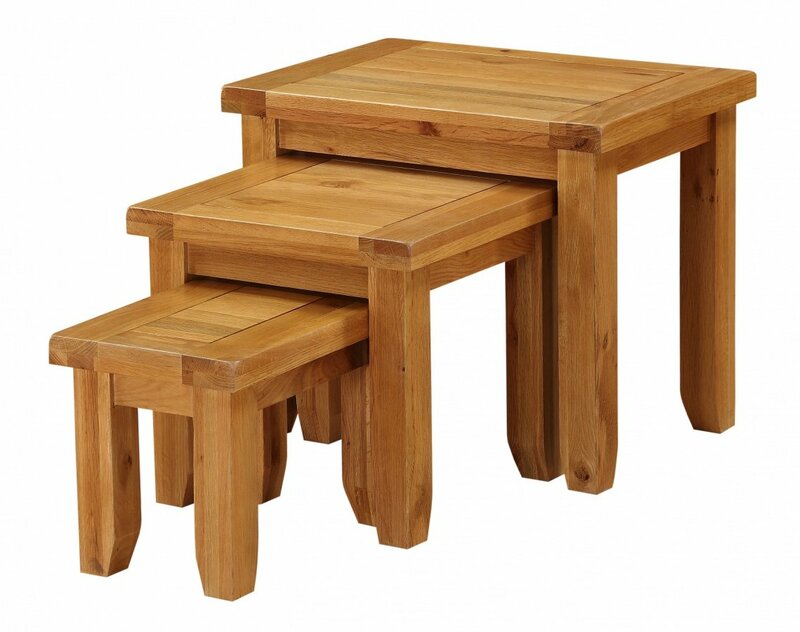 Each table has chunky wooden legs to aid durability and stability but also giving the tables a thick style. The Light Oak finish ensures the tables don't appear imposing but blend in with most room decors. These solid oak nest of tables are perfect for any home that may occasionally need extra surfaces, for parties perhaps, and wishes to save space at other times.